Fostering an atmosphere of stability may help avoid adverse effects on a child. Children require stability and safety in their home environment, and it may be difficult for someone with symptoms of bipolar that they cannot control to provide that. A parent with bipolar disorder may disrupt the lives of their immediate family members, especially their children. Parents with this condition may wish to consider counseling for both themselves and their children. With that said, it is important for both young and adult children of a parent with bipolar to keep the following points in mind. The child of a parent with bipolar disorder needs to understand that what is happening is not their fault. 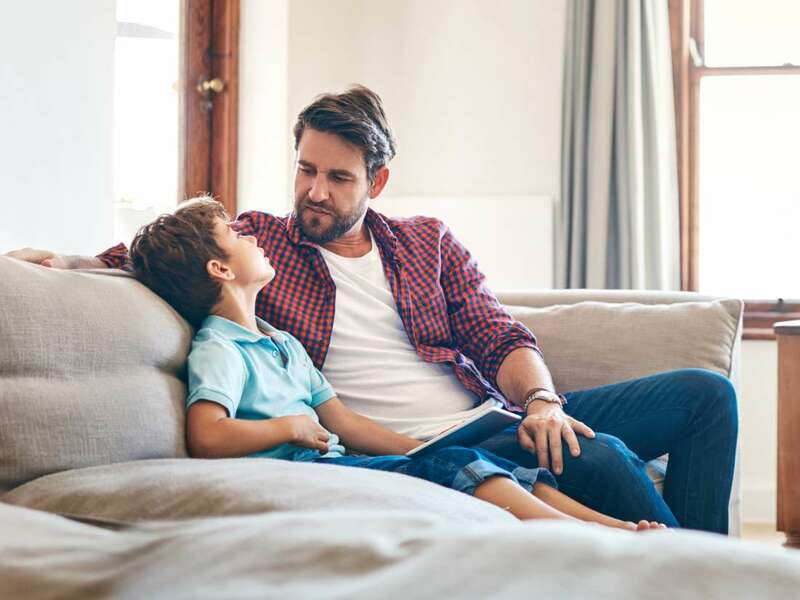 Keeping the illness in perspective may help prevent children from blaming themselves when the parent is demonstrating symptoms of their disorder. For instance, one of the issues facing a parent with bipolar disorder is that they may exhibit symptoms of mania or depression, depending on the particular form of their illness. When they have a manic episode, they may lash out at their child or be quick to anger. During a depressive episode, the parent may seem uninterested in their loved ones. In either case, it is helpful for children to understand that these behaviors are symptomatic of the disorder and not a reflection of their own actions. Some common signs may indicate when a parent is experiencing either type of episode. No. Bipolar disorder is a serious mental health condition that has nothing to do with the person’s family or friends. It is a lifelong condition that may change over time or respond to treatment in different ways. A child’s behavior does not contribute in any way to the condition or the episodes and symptoms that their parent goes through. Is this going to happen to me? There is a link between having a parent with bipolar disorder and developing the disorder. A study in The Primary Care Companion for CNS Disorders notes that children of people with bipolar disorder have a 5–15 percent risk of developing this condition. However, the chance of not having bipolar disorder is still much higher than the likelihood of having it. Children need to understand that it cannot pass from person to person in the way that the common cold can and that it will not “rub off” on people with whom their parent interacts. Will my parent get better? Bipolar disorder is a lifelong condition. There is no outright cure, but many people find that they can control their symptoms with proper treatment. It is important for a parent with bipolar disorder to be aware that the condition will also affect people close to them, including a partner and any children. Taking time to consider their family members’ points of view may help people with the condition be more open about what they are experiencing themselves. In many cases, it may be as simple as letting loved ones know that an episode does not reflect on them in any way. A person with bipolar disorder may not want to discuss their symptoms because they feel shame about how they behave during an episode. These feelings are normal, but it may still help the individual to remind themselves that there is no real basis for feelings of shame. People with bipolar disorder do not decide when to have an episode, and they do not get to choose their symptoms either. There is no reason to feel in any way ashamed of having bipolar disorder. Understanding this may help bridge the gap in communication with a child. Opening up about how the condition affects them as a parent may also help their children cope with the situation. It is also important to help children avoid shame in their own lives. Mental health issues still carry a level of stigma, and a child whose parent has bipolar may feel as though they cannot relate or open up to their peers. Parents should help their children find the support that they need outside of the home as well, so they can cultivate healthy relationships with others. As a 2017 review notes, children who have parents with mental health disorders often describe themselves as feeling vulnerable, lonely, or helpless. These feelings may lead to further isolation and might even affect a child’s emotional or psychological development. To help counteract this, set aside time outside of the normal daily routine to interact with the children lovingly each day. Let them know that the illness does not come before them. It may seem simple, but nurturing is extremely important for a child to feel safe and comfortable. There is no cure for bipolar disorder. Although many people can manage their symptoms with treatment, they may still experience noticeable changes during episodes. As a family member of someone with bipolar disorder, it is vital to keep the lines of communication open. Support may be one of the most important factors for parents with bipolar disorder and their children. Do not be afraid to seek counseling for the person with the condition and their loved ones. Working with a mental health specialist may help everyone involved manage their experience and allow them all to stay close as a family. Anyone who thinks that a loved one may have undiagnosed bipolar disorder should consider asking them to see a doctor or mental health professional.